Chris, X-Men editor Jim Salicrup and I went to lunch at the Ultimate Lotus, a Chinese restaurant that happened to be in the same building as Marvel (575 Madison Avenue) to discuss a new story arc for the X-Men. Freewheeling, I pointed out that while Marvel had many heroes who started out as villains–the Black Widow, Hawkeye, several others–we’d never had a hero who went bad. I suggested that Chris evolve Phoenix into a villain, permanently and irrevocably, the new “Doctor Doom” for the X-Men. Salicrup and Chris liked the idea and Chris began work on what eventually became the “Dark Phoenix” saga. In those days, I had so much to deal with besides the comics–the change in the copyright law, schedule problems, two or three lawsuits against Marvel, domestic licensing, international licensing, fighting with the board of directors re: royalties and incentives, trying to teach the writers to write, the pencilers to tell stories, the inkers to ink, the colorists to color (the letterers were basically okay) that I often didn’t read the comics until they were in the “make-ready” stage. Make-readies were, essentially, printer’s proofs. When I read the X-Men make-ready that included the scene in which Phoenix destroyed a Shi’ar starship, killing hundreds, and an inhabited planet, killing billions, curious, I asked Jim Salicrup to show me whatever else was done on the storyline. Because Claremont and Byrne were very efficient, on time and professional, the next several issues were well along. The climactic issue was still in the plot stage, I think. I think Byrne had not yet begun to pencil it. At any rate, I discovered that Chris (and John) had backed down from the idea of Phoenix becoming the X-Men’s Doctor Doom. The plot indicated that Phoenix would somehow be mind-wiped and let go. Back to living at the Mansion, hanging around with Storm and company, sitting at the same table for lunch, etc. That, to me, would be like taking the German army away from from Hitler and letting him go back to governing Germany. Did I have a “moral” issue with that? Yes. More than that, it was a character issue. Would Storm sit comfortably at a dinner table with someone who had killed billions as if nothing had ever happened? Nah. I don’t know whether most people grok this idea, but the Editor in Chief is charged with governing, managing and protecting all of the characters. It was my job to make sure the characters were in character, and I was the final word on what “in character” was. Not Chris, not John, not any freelancer. The company relied upon me to manage and protect the company’s intellectual properties. I told Chris that the ending proposed in his plot didn’t work. It wasn’t workable with the characters, and in fact was a totally lame cop-out, storywise. I demanded a different ending. Chris–enraged–asked me just what that might be. I suggested that Phoenix be sent to some super-security interstellar prison as punishment for her crimes. Chris said that the X-Men would never stop trying to rescue (?!) her and that the story would become a loop. I said that then he should come up with an ending. I wasn’t privy to Chris and John’s conversations that night, but whatever. The next morning, Chris stormed into my office and said that there was only one answer–they’d have to kill Phoenix. I said fine. I don’t think he expected me to say that, since killing characters just wasn’t done in those days. Chris waffled a bit, but then I became insistent! She’s dying. That’s it. Chris left my office, obviously found a phone somewhere and, a few minutes later, I got a call from John that started with him asking me if I was insane. I insisted on the “solution.” It was done–brilliantly, if reluctantly–by Chris and John. And that’s was the issue that propelled the X-Men to the top for, what, two decades? That’s the story. Check it with Salicrup. Actually, Chris would probably corroborate it, too, though he’d make it seem that he was smarter and that I was a doofus. I’m okay with that. Chris doesn’t get nearly enough credit for what he accomplished. I’m proud to be the doofus who helped to enable it. I think Jim Shooter helped them find their vision. What was that big issue with you behind the Dark Phoenix story? Was emotionally a big issue for you? John Byrne: Oh, yeah. At the time it was huge. Number one, it was a big, big story that we'd been building to for the better part of a year. And then right at the end- even after the end, really, as far as Chris and I were concerned- Shooter had to come in and, as I so discreetly phrase it, piss on it and make it his. There we were, with this thing that had been worked out, plotted out, he knew about it, everything had been detailed. And then all of a sudden it had to be a diferent story. And, just to really frost me all that much, what came out of all that was a better story. (Laughs) Chris has never been able to accept that, that yes, the death of Phoenix, that whole thing, was better than what we originally had planned. When the emotional thing settled and it finally come out and I read the printed book, I said, "Yeah. This is better." Maybe, but there's no reason Phoenix couldn't have been a villain of equal or greater stature. Wasn't Magneto The X-Men's Doctor Doom? After reading comics for 25 years I have stopped. The characters just don't do it for me anymore. I remember flipping through a book and seeing Clarmont, Byrne, Simonson, Shooter, Nocenti, Styrne, Ordway, and other names and being excited because of the work .Now, while the art may be great, most of the work is just to shock and undo what has went before. Jim, I discovered and grew up reading your work. When you were at Valiant the company's comics surpassed the X-Men as my favorite and most anticipated next issues. I thank you for all the enjoyment your work gave and I am so enjoying reading this blog. Glad I found it. I get it. Here is how you decide on the TRUTH of the story. If you are a fan who wants to blame Shooter for making them kill Jean, then the 'truth' is that he is a meddling jerk who was killing the creativity of the talent by forcing them to change a story. If you are a fan who wants to credit Chris/John with the magnificent story, then Shooter is trying to grab all of the credit for himself to feed his ego. Subjective reality is a wonderful thing. Assuming you are mentaly impared in some way and have a huge axe to grind for some childish reason. Now for the REST of us, it seems fairly clear that the truth is somewhere within a snowball's throw of this. I did suggest that one possible ending could be that Jean Grey/Phoenix might be imprisoned by the Shi'ar. I never said anything about "all eternity" and being tortured, horribly or otherwise. Chris, and I suppose John, who lived in Calgary at the time and wasn't a first-hand participant in the discussions, didn't like the prison idea. Chris's counter-proposal (offered to me by Chris — maybe he and John cooked it up together) was killing her. I said fine, and they made a great story out of it. In spite of me? All I did was say yes. I never took any credit for their brilliant work. The success speaks for itself. What do Galactus and the Beyonder have to do with anything? What credit for others' work have I attempted to take? Byrne's account only loosely supports this. I'd like Mr Shooter to explain where Galactus or the Beyonder were ever to be "taken to a prison asteroid and horribly tortured for all eternity", for THEIR crimes." (from Byrne's post linked above). That the end of the story worked out so well (Jean's sacrifice), seems to be to have been IN SPITE OF your decision, Mr Shooter, not because of it. Furthermore, it seems to me that you are attempting to take credit for everything talented creatives did who were there before you, and there long AFTER you. Yes, she did. I thought she made the right call….Claremont was the WRITER. I wasn't much involved. Weezie handled that. Perfectly, of course. Hey, Jim, were you privy to what was going between Byrne, Claremont and Jones shortly before Byrne left the X-Men when Byrne demanded to Jones he either wanted total control over Claremont's scripts or that Claremont be fired from the book? If I had it to do over, maybe I wouldn't have allowed her to come back. Then again, they did it in a clever way and her name IS Phoenix. The death of Jean Grey worked out pretty well…it was the subsequent undoing of said story that really gets me upset. It's the same logic as making Peter Parker a clone…it takes away from all the great stories that had come in years past if the Spider-Man in those stories was a fake. 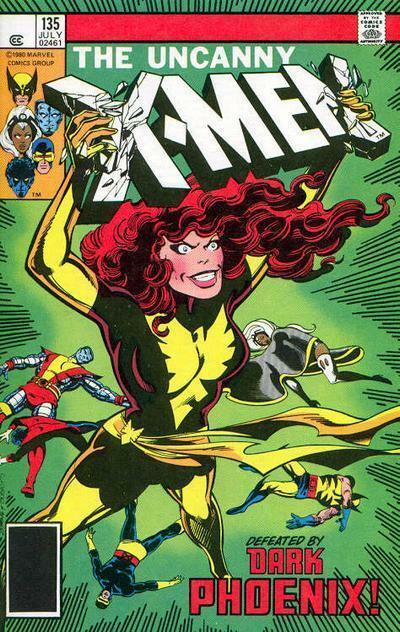 The same goes for making the Jean Grey we had known since Uncanny X-Men #100 an impostor. All the character development after that point was null and void for the "real" Jean. Granted you probably could not foresee the writers making Cyclops a deadbeat dad but I don't really get what there was to gain by the resurrection of Jean. The documentary that footage was filmed for was an X-Men documentary. I don't know if it was ever finished. That clip was presented to me as a sample of the documentary-makers' skill. They wanted to do a "Jim Shooter" documentary. I declined. *Very* interesting youtube clip you linked to, Jim – do you know anything about whether that documentary was ever finished, and/or where/when it might be available in full…? This is similar to, but somewhat different than the account from Chris Claremont and John Byrne. They have both echoed what Jim Salicrup's post said – i.e. that Jean had been taken over by a cosmic evil entity "Dark Phoenix" and once it was "removed" Jean went back to her good self and so was not responsible. The two planned to have "Dark Phoenix" return from time to time and possess Jean again. Perhaps not a "Doctor Doom" but a reoccurring threat. They even had Dark Phoenix's next appearance planned out. Still, for John and Chris have stated that the resulting story where Jean dies ended up being a better, more powerful, story. Here's a clip from a documentary where Chris and Louise Simonson talk about Chris' decision to kill Phoenix. According to that train of thought, J. Michael Straczynski didn't make Gwen Stacy cheat on Peter Parker with Norman Osborn, Joe Quesada did. Personally, I find that ridiculous. If a writer hates an idea so much, they shouldn't agree to implement it. I went to a comic book convention in Baltimore maybe six months after # 137 came out. Claremont was the guest of honor and I decided to attend his panel discussion because the Days of Future Past storyline was really cool and I had questions about it. I will never forget this: as soon as Claremont was introduced, he walked up the podium and said "Let me say this before we start. I didn't kill Phoenix, Shooter did." At the moment, Hasbro is selling Cyclops & Dark Phoenix action figures together with a reprint of Uncanny X-Men #175 ("Phoenix!"). That was the 20th anniversary issue. For some reason, the reprinted comic book doesn't feature Paul Smith's cover. 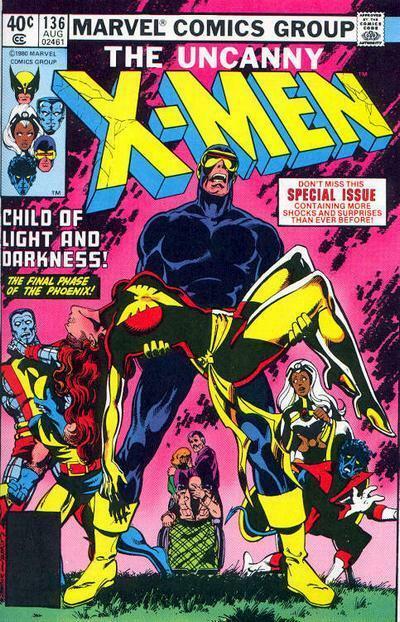 Instead, Hasbro used John Byrne's cover for Uncanny X-Men #138 ("Child of Light and Darkness!"). I bet plenty of kids buying these "Marvel's Greatest Battles" toys will be annoyed that the story inside doesn't address the final phase of the Phoenix at all. Furthermore, John's cover features Jean Grey's parents who don't appear in #175. Hasbro's decision is even more puzzling when you also take into account Wolverine changed costumes in between those 2 issues and Storm looks completely different. The "higher ups" never so much as opened a comic book. They would have had no idea who Phoenix was. It totally makes sense that any super-hero would have a hard time sitting next to a mass-murderer, no matter what were the circumstancies (I always hated those stories that wiped clean a character of any major flaw he had, like what was done with Cyclops, trying to wipe him clean of having been a horrible father and an awful husband in X-Factor). I'm wondering, Jim :didn't you have any issue with the fact that Phoenix suicide herself? I mean, that's probably the first superhero that suicide herself, no? I would think the highers-ups would be very concerned by that. Did you receive any feedback on that? A comics masterpiece, for sure (and the next issue of Uncanny was also very great, spending the whole time remembering all of the x-men/Phoenix history). John Byrne pretty much tells the same "behind scenes" account of this topic. When I was 15 I thought the "Dark Phoenix Saga" was an epic tragedy of Shakespeareian proportions. When you think about it, it is probably one of the most important comic book stories of all time. I mean we are still talking about it thirty years later. "I don't know whether most people grok this idea, but the Editor in Chief is charged with governing, managing and protecting all of the characters. It was my job to make sure the characters were in character, and I was the final word on what "in character" was. Not Chris, not John, not any freelancer. The company relied upon me to manage and protect the company's intellectual properties. I sure wish someone would remind the current (and recent) EIC of Marvel of this, because things have really gone to hell around there. A few months ago, before I finally just gave up reading new comics altogether, I didn't even recognize most of the characters anymore. This is what happens when you put the inmates in charge of the asylum. When the EIC just sits back and lets the freelancers just do whatever they want with little or no supervision. "Hey let's kill off a different major character every month, it'll be great for sales." Hey, why not? If they screw things up too much they can always just do another magic retcon and screw them up even more. A similar situation, maybe on a smaller scale, when Torque was killed (for good) in Harbinger. I remember thinking there would be no way they wouldn't bring him back. Wizard Mag. at the time even said something to the effect of…WTF, you don't kill a major character like Torque, you kill off a useless character like Zeppelin. I think the story wouldn't have been as strong if it had been Zeppelin. That's probably why my favorite series ever is Peter Gillis & Brent Anderson's underrated Strikeforce: Morituri from Marvel, you never knew who would die or when. I'm not a fan of the heroes dying, so that was never a story that excited me at all. I feel cheated when I buy stories where the hero is a loser. The same goes for the Death of Captain Marvel. My all time least favorite comic was the death of Gwen Stacy. Comic characters are corporate assets with time and money invested in them. This is why they come back to life eventually or have their fates rehashed over and over. Thunderbird's death bothered me, but it was handled well. He was inexperienced. He was on a dangerous mission. His death adequately portrayed the high risk situation. When I discuss comics, it is inevitable that I bring up what I call the Hawaii or storyline. I call it that because "It's a great place to visit, but I wouldn't want to live there." Death stories fit that category. Perhaps the best X-Men story ever written… "Days of Future Past" is a Hawaii storyline. It was an excellent story, but you need to be able to get in and out of it without constantly dragging the continuity back to that point in all the issues that follow. 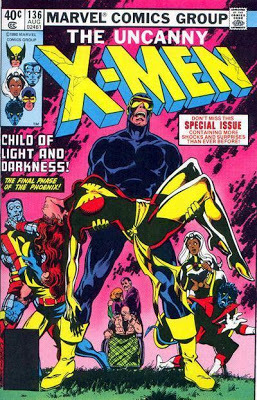 The death of Dark Phoenix overshadowed far too many issues that followed and it removed a very noble hero (company asset) in the process. In all honesty, I don't think Chris' writing motivated me to buy X-Men at all. I was more drawn to the art, the characters, and the great look of the book. The stories were just adequate in my opinion. Oops. It seems the first two sentences I wrote in the post above got deleted by accident. The 30th anniversary Dark Phoenix Saga oversized hardcover primarily covered X-Men #129-138. As Jim said, Roger Stern was the editor at the beginning for 129 ("God Spare the Child…") – 131 ("Run for your Life"). Jim Salicrup was at the helm for the rest from 132 ("And Hellfire is their Name") – 138 ("Elegy"). Louise Jones was indeed editor afterwards. Bizarre Adventures #27 ("The Brides of Attuma"), What If? #27 ("What If Phoenix had Not Died?") were peripheral stories from 1981 edited by Dennis O'Neil and Tom DeFalco. The last bonus story is "Flights of Angels" from Classic X-Men #43. This story wasn't printed until 1989 so it was edited by Bob Harras. I would love to see Chris or John jump in and give their side of it. I wish Ken Burns would make some multi-part documentary on Shooter's Marvel – I'm serious, it would be great viewing! And a great cultural document of its era. Simonson, Chaykin, Miller, Shooter, Byrne, Claremont, all riffing on the comics of the era. Starting in the mid-70s and ending with the 90s – seems a natural enough endpoint, that. But, until then, I'll settle (happily!) for these blogs. Jim, off-topic, but I saw that Valiant is relaunching its comics today. I'm sure I'm not the only reader of this blog that immediately thought, "Can't wait to see what Jim gets to the Valiant stuff!" As revealed in the interview section at the end of Phoenix: The Untold Story, the real source of the controversy is that Chris Claremont's plot didn't suggest anything about Phoenix destroying an inhabited world near the D’Bari starsystem. That was completely John Byrne's decision. If Dark Phoenix had only killed the Shi'Ar aboard the battle cruiser (who attacked her not vice versa), would her death have been deemed necessary? That might be a tough call. As it stands, I concur that Jim made the right choice. Incidentally, X-Factor Annual #2 ("The Man in the Moon") was the first Marvel superhero comic book I ever bought. Jo Duffy's story dealt with Cyclops returning to the blue area of the Moon formerly controlled by the Watcher where Dark Phoenix sacrificed herself. Even though I didn't grasp some of the continuity, I was particularly intrigued by the references to Jean's doppelgangers and Crystal's affair. If Jean had escaped culpability in Uncanny X-Men #137, that X-Factor Annual wouldn't have hooked me quite as much. Excellent post. I very much enjoy reading these behind-the-scenes stories. Thanks for posting this while the fall of Princess Projectra is still fresh in our minds after your series of posts on the Legion. Phoenix exemplifies what happens when a Super lacks self-control. She had to become a villain. And she had to die by her own hand – a final heroic act. I don't think she would have worked out as a Doctor Doom type. She was vastly more powerful than the X-Men and would have been nearly impossible to defeat. Multiple victories over her would strain credibility. I wonder what Phoenix's co-creator Dave Cockrum thought of her death. When I first started getting into Marvel in 1983 as a sixth grader, I assumed there was no way I could possibly buy the Phoenix saga, so I bought the next best thing: Phoenix: The Untold Story the following year and read the unused ending before the real ending which I would read five years later. "The Dark Phoenix Tapes" (a transcription of a conversation between you, Chris, John, Louise Jones, and Jim Salicrup) was my first exposure to what goes on in comics behind the scenes. I remain curious about the world behind the curtain 27 years later. I hope you write about Jean Grey's return and the creation of X-Factor at some point. Back in 1986, I was so sure Jean Grey couldn't possibly come back. Oops. Thanks for the correction, Jim. You WERE the editor for the end game, though, weren't you (till Weezie started)? Hence my confusion. So…if it was Roger at the beginning…and you at crunch time…now, at last, I understand why you didn't understand. We should have talked more. Furthermore, these days, as Editor-in-Chief of Papercutz, I spend a bit more time with such bad girls turned good, such as the Smurfette in SMURFS #4 (she was created by Gargamel!) and Tinker Bell (have we forgotten how she kept trying to kill Wendy in Peter Pan? )in each volume of DISNEY FAIRIES! (Hey, I didn't edit MARVEL AGE for 8 years without learning how to plug!) Thanks, Jim! Yep, that's pretty much the story. Just a couple of nit picks– I wasn't at that original dinner with Chris and Jim. I believe that was Roger Stern, who was still editor of UNCANNY X-MEN at the time the story was planned. I misunderstood the story all along, it seems, in that I thought an evil entity– "the Dark Phoenix"– had possessed Jean, and once that was gone, all would be well with the world. No moral problems, etc. The issue I edited was published, as the Untold Story or something like that, and we all talked about the behind-the-scenes evolution of the story in a text feature in that special edition. The actual Death of Dark Phoenix issue, was actually re-edited by the brilliant Louise Jones, as per Jim's instructions– and it is indeed a classic! I always give the credit for killing Jean to Jim, and he deserves it. As do Chris, John, Terry, Tom, Glynis, and Louise, for the final, er, execution, and Roger Stern for getting it underway. "I'm okay with that. Chris doesn't get nearly enough credit for what he accomplished. I'm proud to be the doofus who helped to enable it." It's amazing how little credit any EiC gets for such triumphs. Reading the final scene in #137 still gives me chills. In fact, I get chills just thinking about it and typing this comment. Brilliant plot point that has become far too easy for every company to do in lieu of storytelling. That's what a good EiC does, rather than enable fanboy whims. The Death of Phoenix story was the most daring and wrenching saga ever told in modern comics. To me "Death of Superman" is pale in comparison. It's the only comic book tale that has ever drawn tears from me.